Nebraska State Senator Sara Howard speaks about expansion of healthcare services and coverage. 1. Identify how the state legislative process works. 2. Demonstrate effective strategies for building a relationship with your state senator. 3. Summarize key points to advocate for current issues impacting the speech-language-hearing profession. The impact that you can have by connecting with your state senator, building a relationship, and offering support is tremendous. Please plan to attend and share your ideas, concerns and recommendation with state senators on how to enhance speech, language and hearing services for Nebraskans. 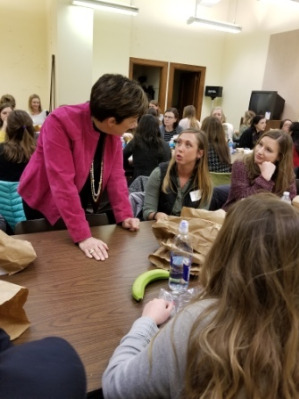 It’s an opportunity to build relationships with state senators, while educating and informing them about the speech-language-hearing field in our state. This is increasingly important, as the healthcare environment continues to change, and the ability to deliver speech-language-hearing services becomes increasingly challenging. 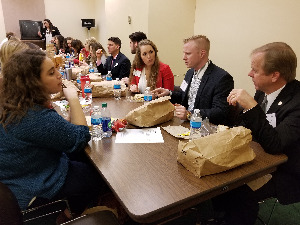 A complimentary webinar will be held on Wednesday, Feb. 20, 2018 at 4:00 p.m. to prepare for NSLHA's Lunch with a Legislator. If you are unable to attend the live event, you can request a complimentary recording of the webinar. Please complete the registration brochure below to sign up for the webinar or recording. An application has been submitted to ASHA to request 0.1 CEUs. The 2019 NSLHA Legislative Day Webinar is offered for up to 0.1 ASHA CEUs (Introductory Level, Related Content). Download the paper version of the registration brochure or register online. Students, click this link to register online. The 2019 NSLHA Legislative Day Webinar is offered for up to 0.1 ASHA CEUs (Introductory Level, Related Content). The Nebraska Speech-Language-Hearing Association (NSLHA) will select up to three (3) Better Hearing and Speech Month Award recipients during the month of May. Award recipients will be recognized during the Better Hearing and Speech Month proclamation ceremony on May 6, 2019 at 10:30 a.m. in the Warner Chamber at the State Capitol in Lincoln, Nebraska. NSLHA's Schools-Based Issues Committee is working on behalf of members by developing SLI verification guidelines, telepractice guidelines, will be addressing workload/caseload issues, and met on December 12th with the Nebraska Department of Education to discuss continuing education requirements for SLPs wanting to work in Nebraska as well as universal licensure. Utah State University is conducting a study to learn more about school psychologists’ and school-based audiologists’ and speech-language pathologists’ knowledge of ASD and confidence in providing school-based services with this population. If you work in a school setting, please complete this brief survey by mid-March. Participants will be entered in a separate drawing for the chance to win one of two $50 Amazon gift cards. Free onsite and distance continuing education conference for professionals. 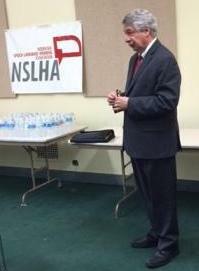 Hear the State of the Association address from 2017-18 NSLHA President Marc Brennan. NSLHA's vision is to be the leading voice and partner in promoting speech, language, hearing, balance, swallowing and related disorders in Nebraska, and to be an expert in advocating for the rights and interests of persons with communication disorders. Join or renew your membership today. 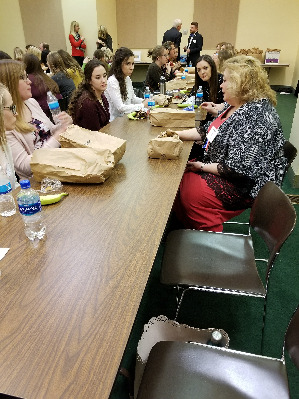 To promote services for speech, language, hearing, swallowing and related disorders in Nebraska; to encourage education and research activities; and to advocate for the rights of persons with communication disorders.